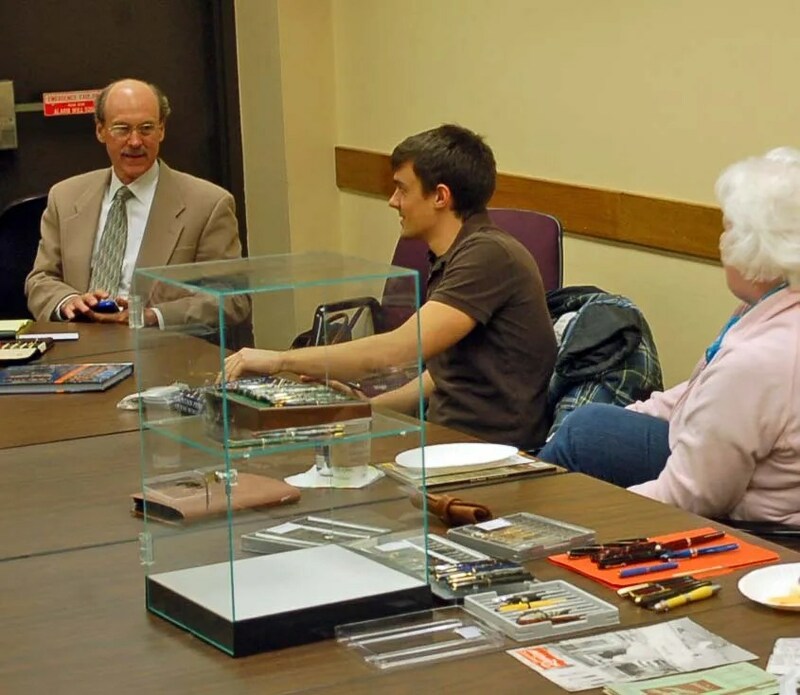 Below is a summary of the Friday August 15, 2014 Pen Club meeting. Future Meeting Location: The Associated Bank response was that they will not allow us to use their new building conference room. Security was quoted as an issue. Both Francis and Fritz tried a few options but the specific location wanted us to pay for the use of the room. 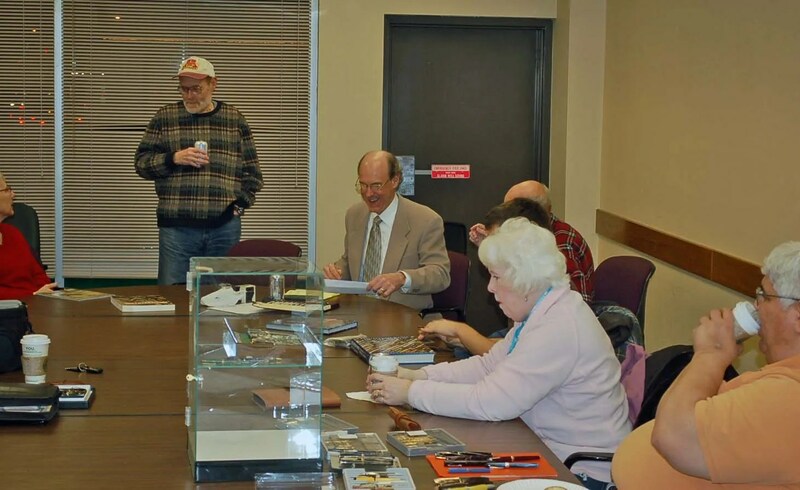 Randy Kirsch offered the conference room in his office in Roseville for the pen club to use. THANK YOU Randy!! Theme of evenings meeting was 2nd and 3rd tier fountain pens. Meeting was held in Dr. Ferris’s office lobby. 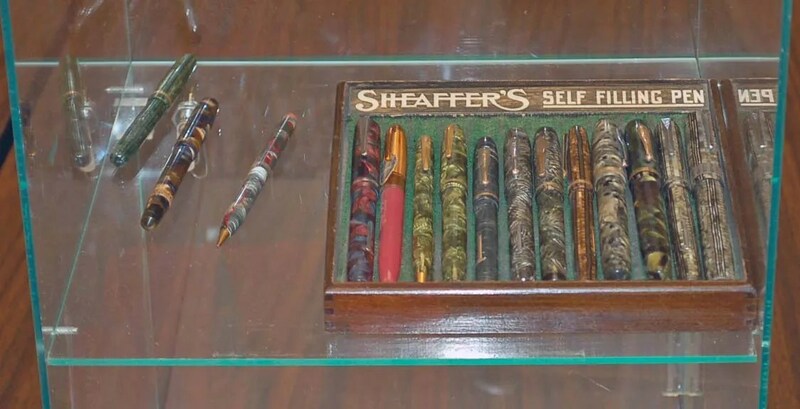 There was a good assortment of the pens on display in the room. 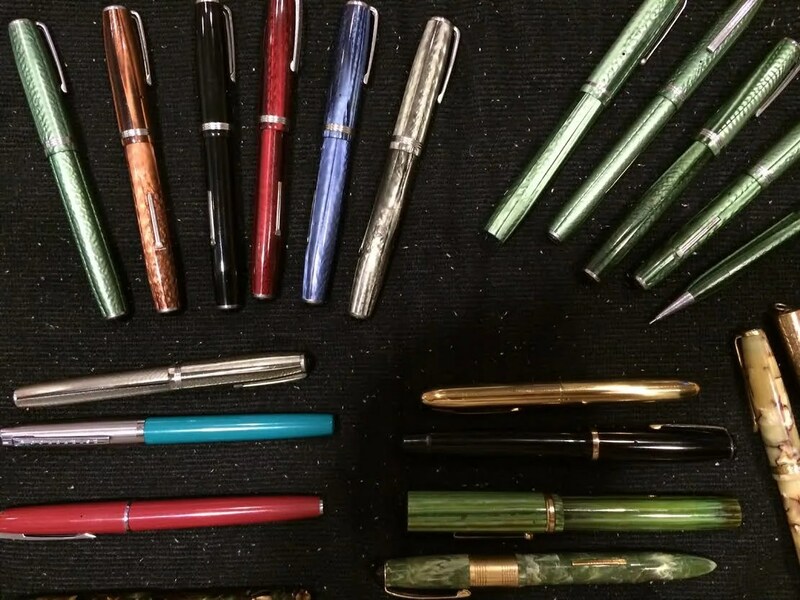 We generally agreed that 2nd tier pens would include; Webster, Esterbrook, Gold Bond, Lipic Pen, Good Service Pens, Lamy Safari Moore, Diamond Medal to name a few. 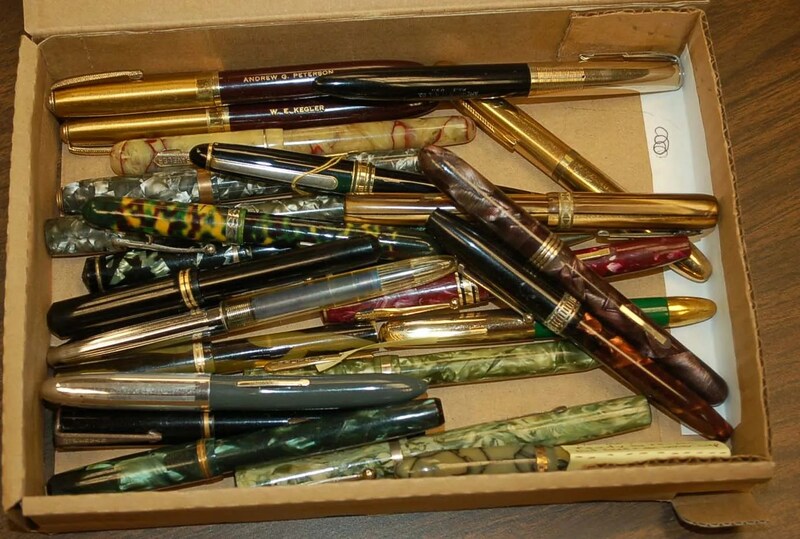 The 3rd tier pens discussed were; Wherever, Arnold Venus, Majestic, Traveller, Stanford again to name a few. Obviously some 1st tier companies made 2nd tier pens such as Parker with Parkette and Conklin with the American Pen, to name a few for this report. Next meeting will be at our new location, this Friday September 19th @ 2845 Hamline Ave. N. St. Paul *(Roseville). There is a large parking lot at the building. 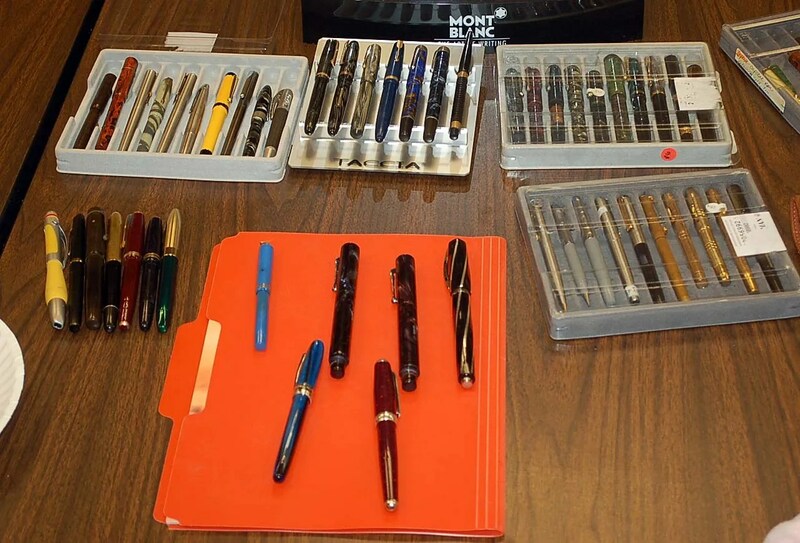 The theme of the meeting will be Pelikan Fountain pens & pencils. 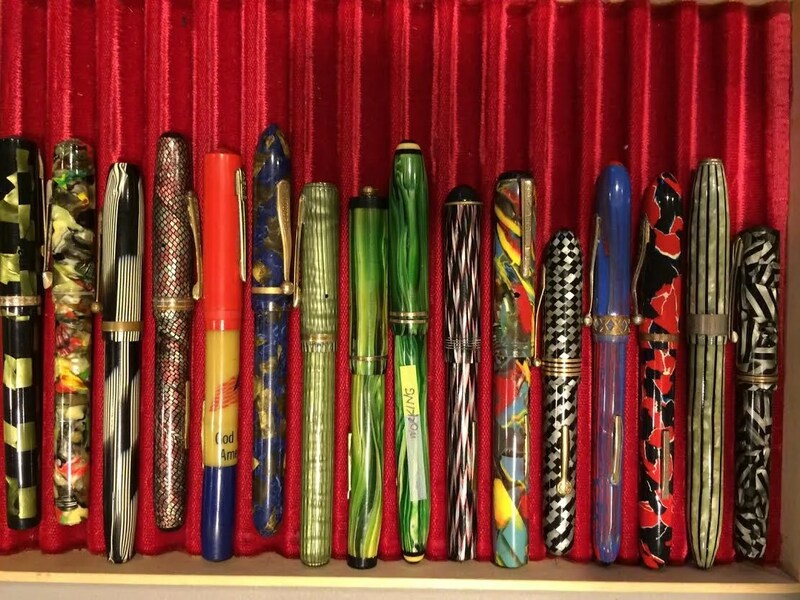 Bring anything Pelikan for show and tell. I will give a very brief warm up talk on the subject.